Here at Sweetpatch TV we will be hosting 2 online tournaments next week for none FIFA Pro Players, with the winner of each tournament qualifying for the Final live at Mad Catz UNVEILED playing FIFA 14, plus the winner at UNVEILED will get to play FIFA 14 versus KSI! Get signed up for Wednesday’s or Friday’s tournaments here and see if you can get to play FIFA 14 at Stamford Bridge! 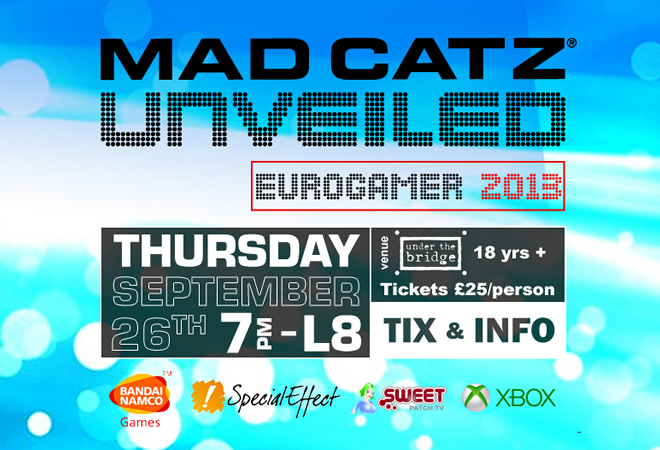 The winner of Wednesday and Friday’s tournaments will be invited to the Mad Catz UNVEILED event at Stamford Bridge on 26th September to play in the Live FIFA 14 Final and the package will include travel and accommodation plus loads of goodies! The tournament will be streamed live on Wednesday/Friday and a celebrity Show Team will bring you the tournament in a unique way. You will also be able to watch matches where players have the capability to stream live. Get signed up today for the Wednesday and/or Friday tournaments to ensure you don’t miss out on the chance to play FIFA 14 at Stamford Bridge and meet and play against KSI!